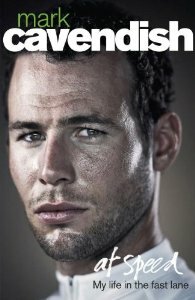 Among his detractors and even within the peloton it has become popular to think of Mark Cavendish as an angry, emotional hothead who speaks before he thinks. And while that is undeniably one aspect of his character, the truth is rather more complex. Here is a genuine racer with an appreciation for both the art and science of sprinting, one who does logic puzzles and sudoku to keep his mind and not just his legs sharp, and who can be as thoughtful as he is opinionated. At Speed reveals every facet of the man known simply as ‘Cav’.